SoundControl is a plugin that lets you play custom sounds and music for your players via custom triggers and WorldGuard regions. 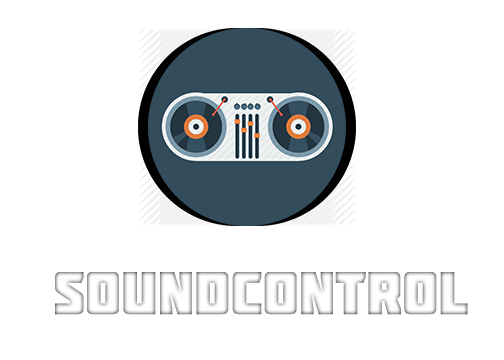 With SoundControl you can add whatever custom sounds you want, no resource pack required. There are three files that will be generated on startup with default values: commands.txt, music.txt, effects.txt. Commands.txt is where you will be telling SoundControl how to work. Music.txt and effects.txt are where you give links to custom music and sound effect files. You can go through all of this down below OR you can use this awesome program created just to configure this plugin (SoundControlGUI). This is the default commands.txt. This is where you configure SoundControl to work exactly how you want it to work. Each command follows this format: id specifier condition media . ID can either be region or action. Region plays music in a certain area whereas an action plays a sound effect when something occurs. Specifier tells SoundControl what you want the command to apply to. If you're using action these are all actions you can use. For region the specifier can either be a region name or "default". Default means it will apply to all regions that do not have something set. In this example effect number 8 will be played to a player when he/she dies if the player is in region "test". In this example music track 3 will play whenever a player is within any region and it is raining. This has been a side project for a while now please message me with anything you need. Rooz, michaelwojcik2, B1ackW1ng and 3 others like this. Don't get me wrong - this looks like an amazing plugin. However, I cannot get it to play sounds (issue in discussion). It looks like it's abandoned as it hasn't been updated for a year. This is just an Amazing Plugin. The Owner has Great Support, and it Overall is an Awsome Plugin. If you want to add a touch of uniqueness to your server, then you should get this. This plugin is great! Finally an audio plugin that i find working! I was wondering if there will be ever a chance we could see live audio be implemented. My server does drop partys and one thing we wish we could have is the ability to listen live with an audio link that streams. So if people play audio live via live stream it can go through the server. I hope this feature gets added very soon. Otherwise great plugin, and i hope il see more plugins like this in the future. One more thing I'd like to add. When it becomes day/stops raining, can you make it so that music stops and original starts up again? Please don't use reviews to post issues. The issue in this case is that the link is not a direct link to audio. Author was very helpful on getting my bug fixed. The plugin is great. I recommend getting it if you want custom sounds on your server. Great update! but, make a WorlGuard dependecie optional for people without use region actions. Thanks for another review! Glad you enjoy the program. I will be sure to add something like that in the future. A video is coming as stated in the description. Also, I ask that you contact me with any help you need before leaving a review. I cannot help if you do not contact me. A number of things could be going wrong. You don't have it set up correctly, you're not on the correct url to listen to it, MCJukebox is not correctly set up, etc. An easy, comprehensive, and powerful recipe system. Re-released for free.